Thanks to REDA’s last generation centrifuges it’s possible to obtain the clarification of musts and wines with exceptional results, avoiding product oxidations and working in an automatic way. The treatment of wines (young, red, white, but also sparkling wines) with the high speed separators of REDA S.p.A. offers enthusiastic results in terms of hourly flows and of brilliance, because the high centrifugal force generated inside the bowl separates completely the exhausted yeasts and the other residues. 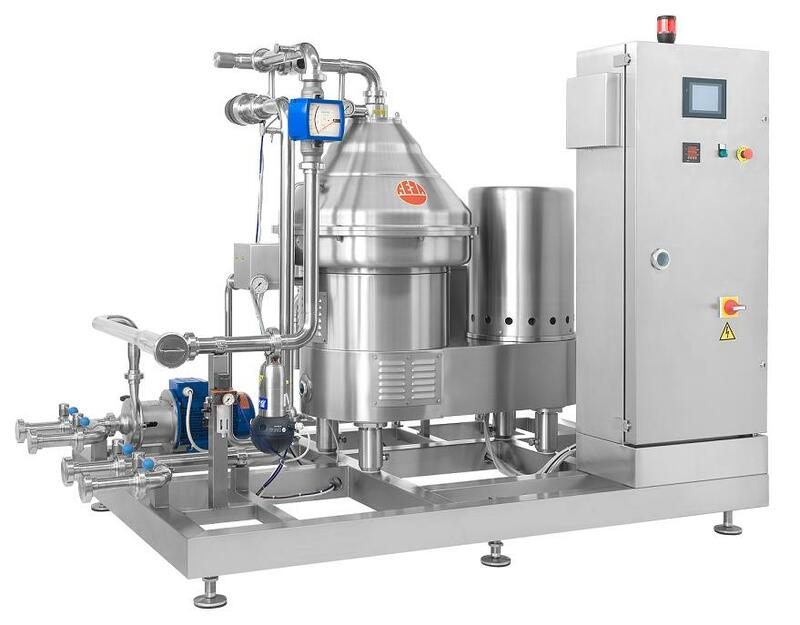 The absence of product oxidation and the possibility of clarifying products even if very dirty (the centrifuge is self-cleaning in very quick times) make the centrifuge without doubts the best solution for the clarification of wines at the end of fermentation, also for the very quick process and the reduction of needed manpower. Brush filter: for the pre-filtration of the must at the inlet.